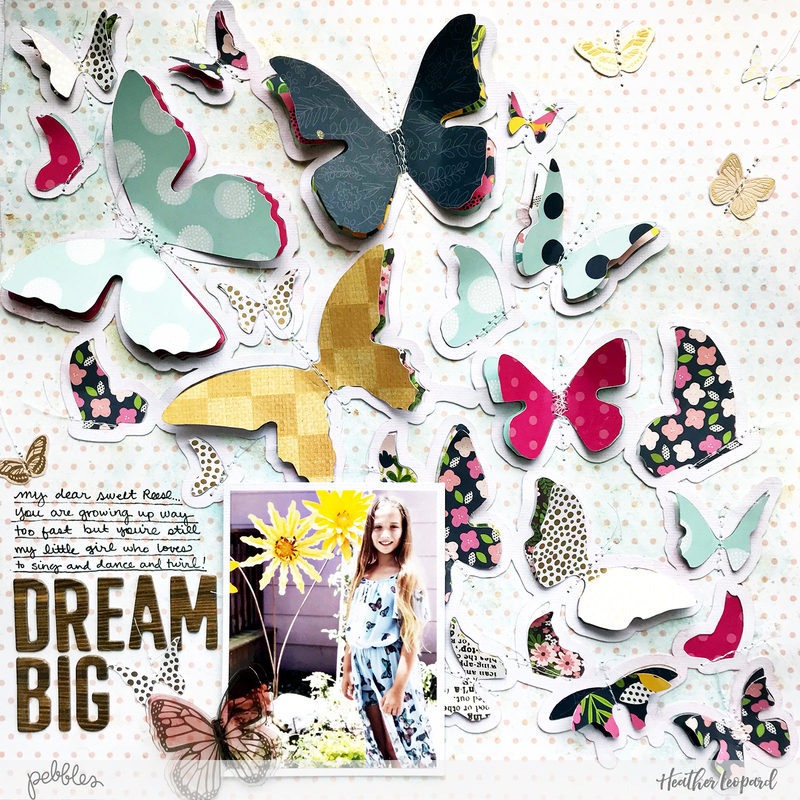 Time Saver Tips | Butterflies Scrapbooking Layout - Pebbles, Inc.
To make this layout really come to life, this butterflies scrapbooking page includes mixed media, a die cut, layers of die cut “fillers” and machine stitching! I knew the page was going to be slightly busy so I chose a patterned paper background that was a bit more simple. I wanted to wash it out just a bit more so I applied white gesso. Once dry, I added teal and gold mist that I sprayed and dabbed around the page using plastic packaging material. TIME SAVER TIP: skip this step and save on drying time. Just make sure to avoid a busy background for a more appealing design. While the background dried, I cut the butterfly cut file from Paige Evans out of white cardstock. Although it’s quite subtle, I applied clear gesso and pink spray to the white butterfly cardstock once it was cut out. While that was drying, I disassembled the cut file and cut the inside “fillers” out of multiple patterned papers. I cut double the amount needed so I could double layer many of them, as seen in the photo above. 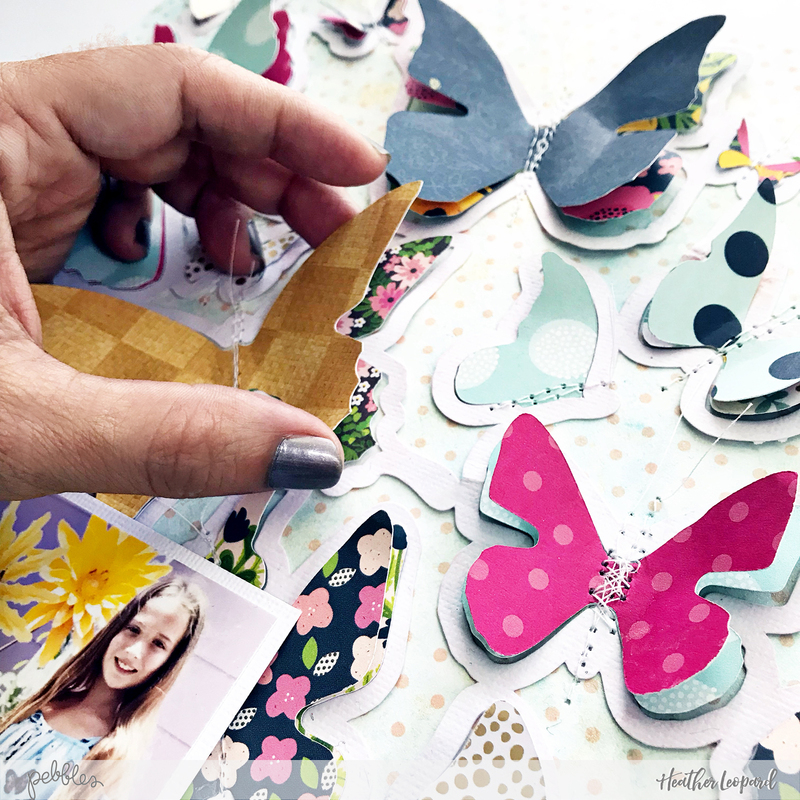 TIME SAVER TIP: save time by not adding the additional gesso over the die cut and only cutting one layer of butterflies. I applied the butterfly cut file only in the middle because I wanted the cut file to lift up here and there. I knew I’d be stitching over it soon enough anyway. I then added the butterflies to the background with just a little dab of liquid adhesive so they’d stay in place in the sewing machine. I stitched each and every butterfly; some as a straight stitch and others with a zig zag. 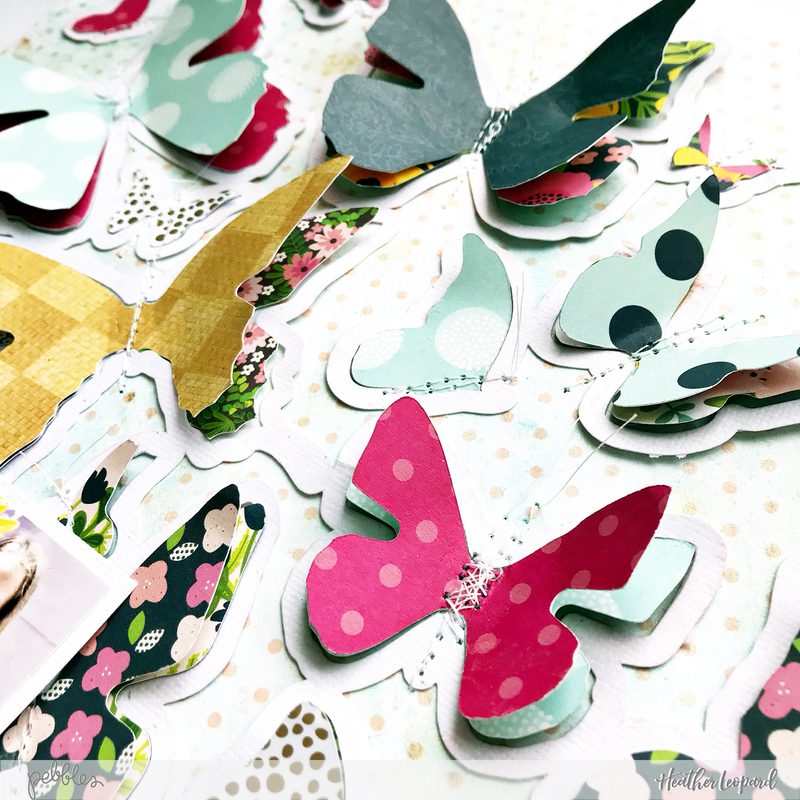 TIME SAVER TIP: adhere the butterflies with more adhesive and skip the sewing. Lift the butterfly wings up to reveal the multiple levels. 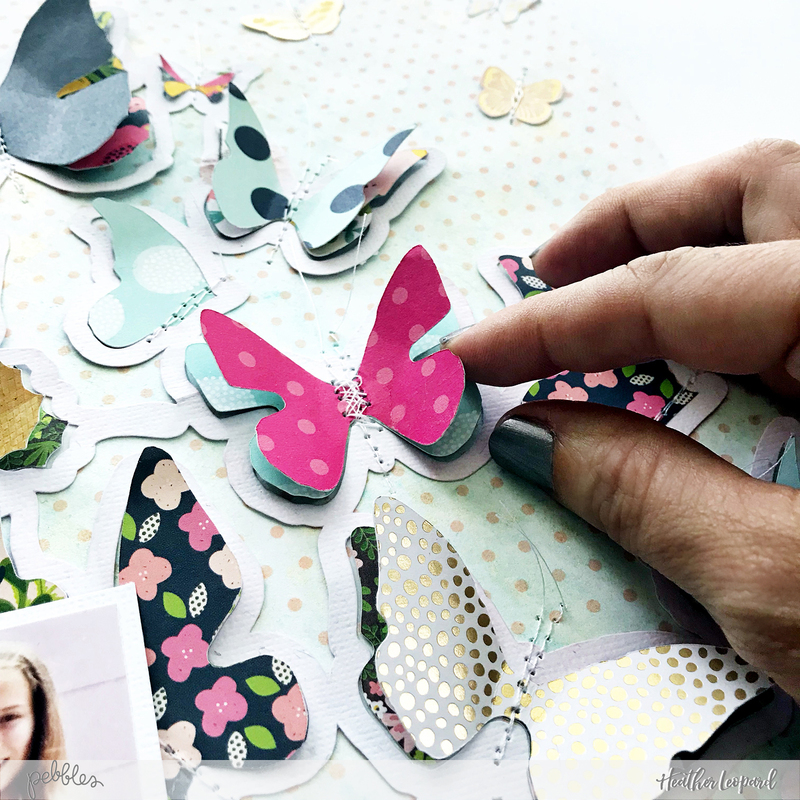 The butterfly cut file lifts ever so slightly, then the bottom wing lifts to reveal the background pattern and the top wings lift to reveal the lower wings! I suggest adding foam adhesive under the wings to keep them popped up. Next, I added my photo. 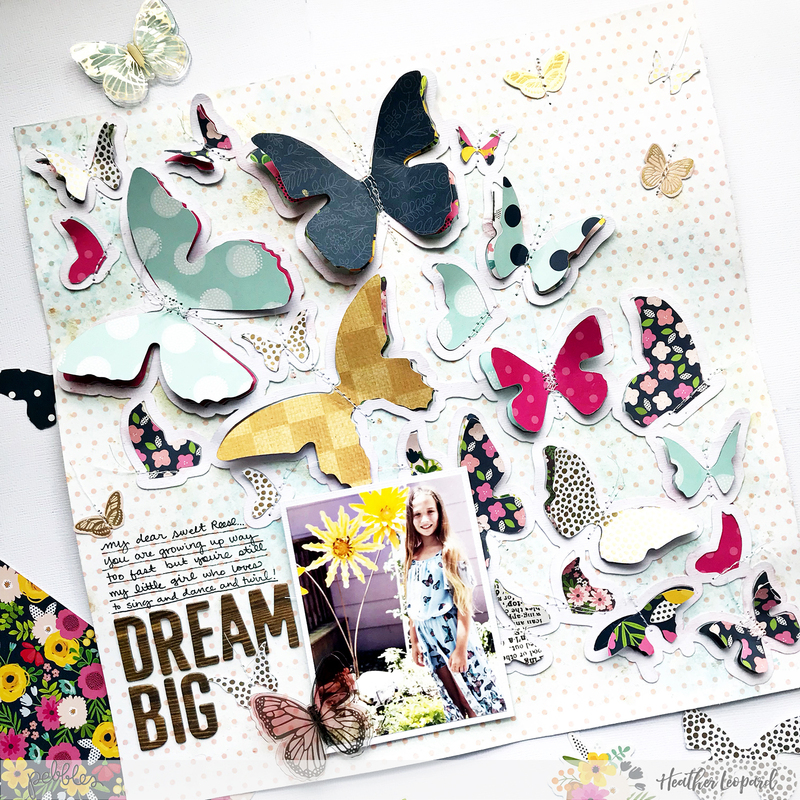 I kept layers around it to a minimum because hello….butterfly layers galore! Then I finished it off with a title, a few more butterflies here and there around the page and journaling. Thanks so much for stopping by today. 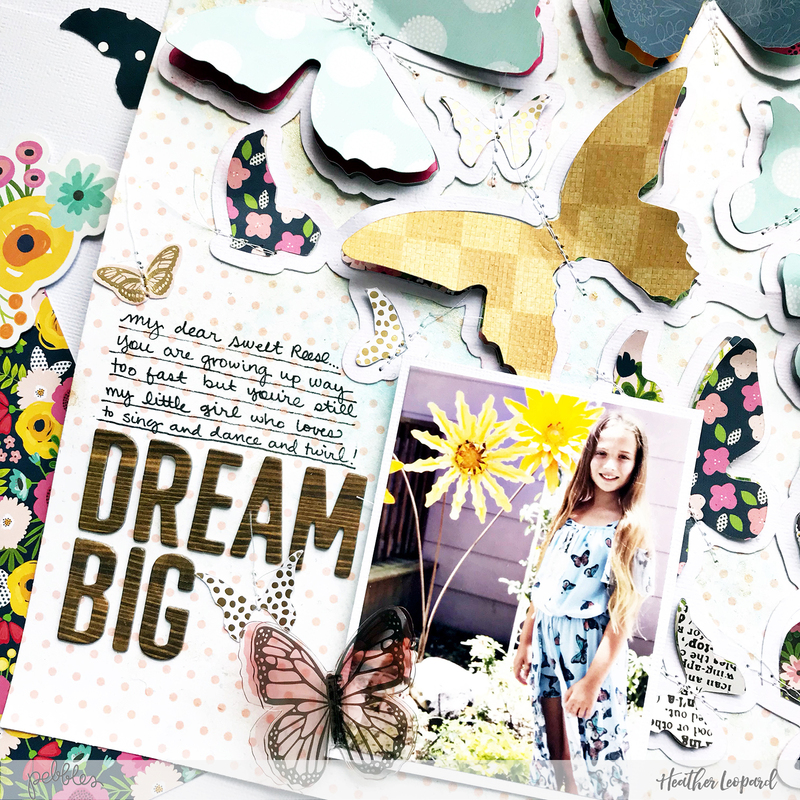 I hope you enjoyed this butterflies scrapbooking layout and the TIME SAVER TIPS I shared today!